More people are making the switch to affordable SUV’s. These vehicles are not just for large families. Anyone who takes long road trips will find a compact SUV is a great investment. They are more stylish than minivans, and they come equipped with several posh features. Recently, automobile manufacturers have made significant improvements in design and safety features. 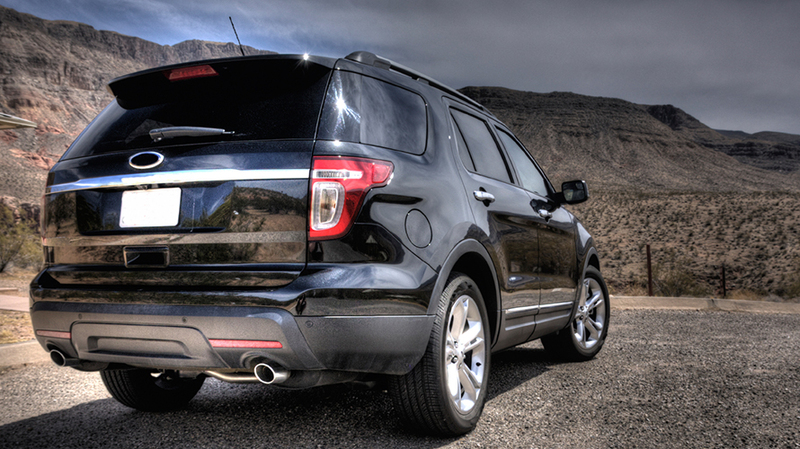 Here are a few reasons why you should consider making your next vehicle purchase an SUV. SUV’s offer the perfect combination of sport and elegance. Many new models have built in navigation systems, heated seats and satellite radio. Most brands offer these features in luxury models, and they can be added to a basic vehicle package. Most SUV’S can seat at least five people. Larger SUV’s can fit up to eight people. Some cars can seat five people, but cars do not offer extra space for each passenger. Families with toddlers can comfortably pack several car seats in an SUV. The trunk of the SUV is large enough to haul several suitcases or large equipment. The seats in the cargo area can be folded down or removed. Lavish features are great for entertainment, but you need a rugged vehicle for rough driving conditions. SUV’s are great for driving on rough terrain. Most large SUV’s have an eight cylinder engine. Crossover SUV’s are designed to be similar to cars. Crossovers have a smoother ride, and the suspension absorbs bumps in the road. Most SUV’s have enough horsepower to pull a trailer or boat. Cars do not have enough torque to haul large loads, but an SUV can pull heavy loads without damaging the transmission. SUV’s are better at handling challenging weather. Newer models are less likely to roll over in an accident, and the different drive options offer drivers more options for driving in snow and rain. The four-wheel drive feature prevents accidental sliding on wet roads. The height of an SUV makes the vehicle more visible to other drivers. It is also easier to notice debris in the road. Parking cameras are becoming standard features in SUV’s. Many SUV’s are great at conserving fuel, and compact models have a four or six cylinder engine. Hybrid SUV’s are great for the environment, and a tank of gas last longer in a hybrid SUV. Smaller SUV’s use less fuel than some large sedans. In addition to saving money on gasoline, smaller SUV’s often have affordable insurance premiums. Compact SUV’s are usually inexpensive to maintain. The engine is smaller, and most models are designed to increase fuel efficiency. Like cars, all SUV’s can last several years if a regular maintenance schedule is followed. Before deciding on which SUV to purchase, you should search online to compare models and prices. Researching the top 10 SUVs under $30,000 is a great place to start. You can negotiate prices when you are certain of what features are important, and it is easier to find an SUV in your price range when you know what features are a necessity to you. SUV’s are the perfect balance between vans and trucks. Many SUV models outperform cars and trucks. When you drive an SUV, you get the advantages of a truck and the luxury of a car.